Anshika Varma is a curator, artist and educator for art therapy programs with a keen interest in exploring ideas of identity and memory. She lives and works out of New Delhi, India. Working with photography as an artist herself, her curatorial practice questions our sense of identity in an ever-changing world through the prism of visual media. Her curation have been presented at Angkor Photo Festival, Goa Photo, Diffusion Photography Festival and Obscura Festival of Photography. She was also the Photography Curator for the Contemporary Arts Week, New Delhi and has worked with the Delhi Photo Festival since its inception. 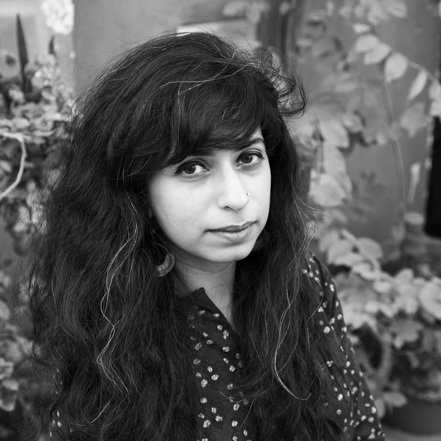 She is a part of the UK Arts Council initiative Dreamtigers, in collaboration with Nazar Foundation and Ffotogallery, as a curatorial advisor for Diffusion Photo Festival and was invited to co-curate A Million Mutinies Later, an exhibition on Indian lens based work in Cardiff. Her personal photographic works have been exhibited at Angkor Photo Festival 2017, Chennai Photo Biennale(2016), Kochi Biennale 2014, New York Biennale for Contemporary Art 2013, India Art Fair 2012 & 2013 and the Florence Biennial in 2009. She has also been awarded the Lorenzo Il Magnifico at the Florence Biennale in 2009. Anshika is a strong believer in the power behind inclusive education and has conducted art therapy programs for children from challenging social and economic strata She has worked with childrens’ education workshops at the Angkor Photo Festival, Delhi Photo Festival and international collaborations with organizations in the development sector.